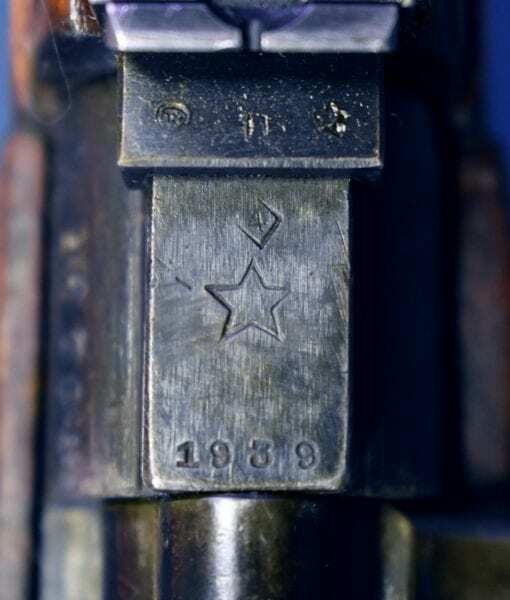 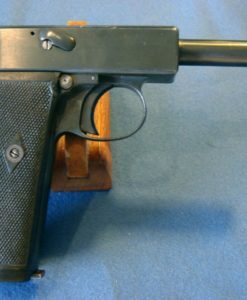 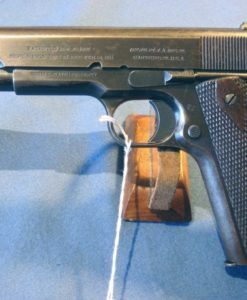 SOLD VERY RARE SOVIET 1939 TULA SVT-38 TOKAREV SEMI AUTO SERVICE RIFLE……..WW2 VET BRINGBACK……NOT FINNISH MARKED….NICE!!! 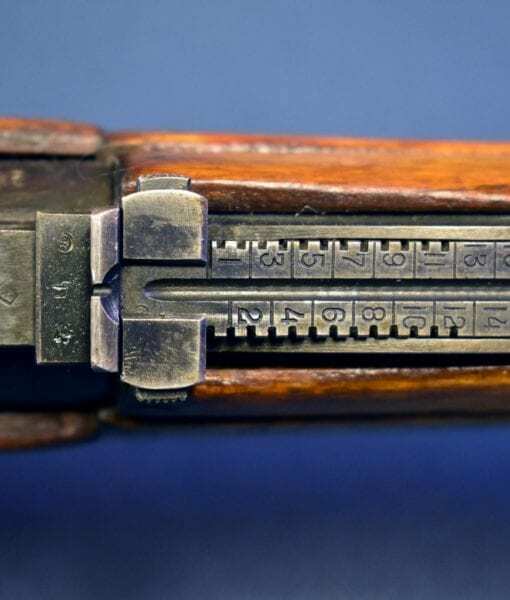 In excellent minus condition, we have an extremely scarce and rarely seen Soviet Tula Arsenal 1939 dated SVT-38 Tokarev Semi Auto Rifle. 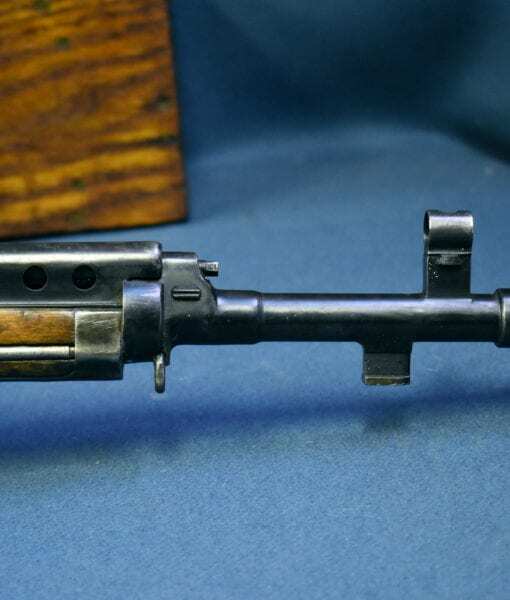 The SVT-38 was in service with the Red Army throughout WW2 but was only in production for about a year, until it was replaced with the lighter SVT-40 This rifle is believed to have been a German WW2 capture and re-issue and then was captured and brought back by a G.I. 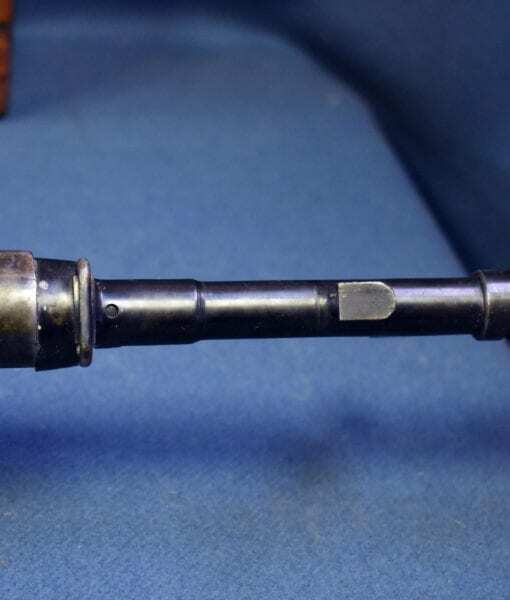 at the end of WW2. 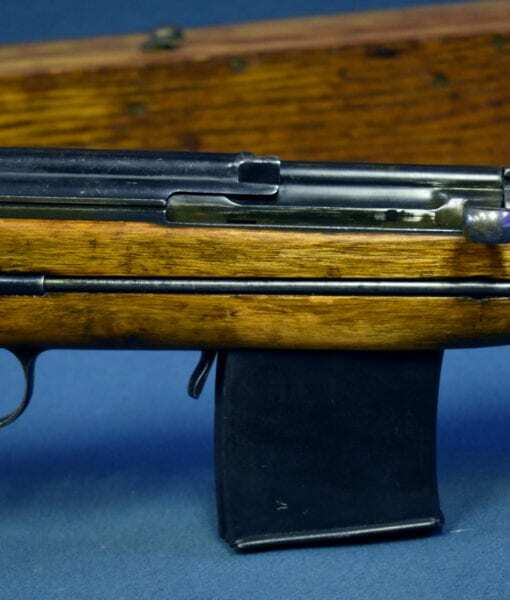 As with all of these rifles encountered it is mostly not matching, but the bolt does match the receiver. 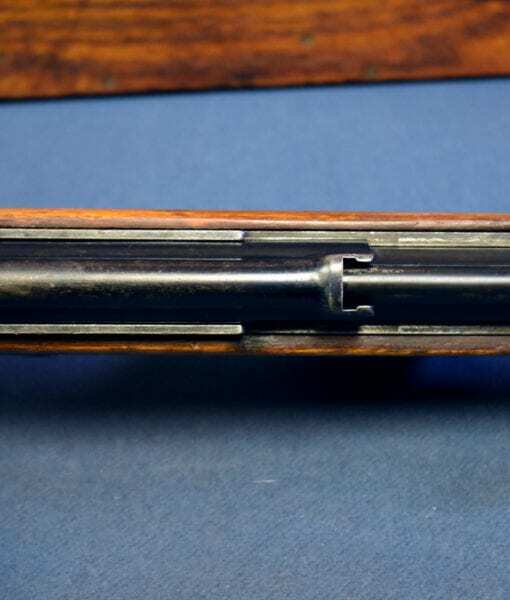 The bore is excellent as well and the rare side mounted cleaning rod is still there. 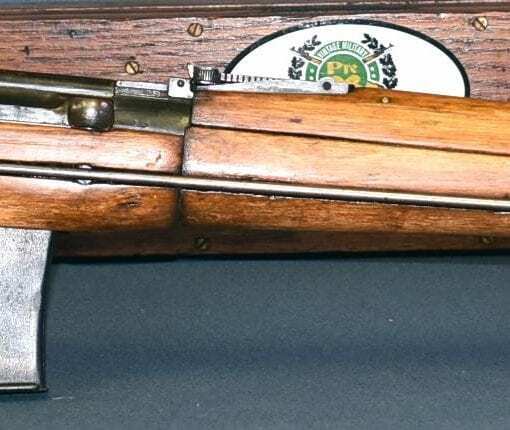 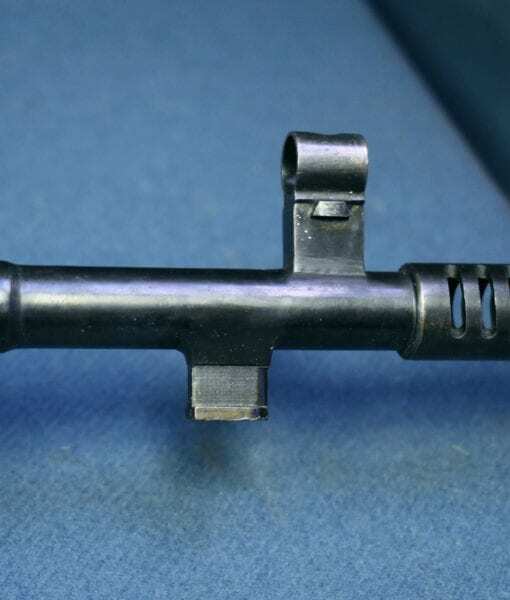 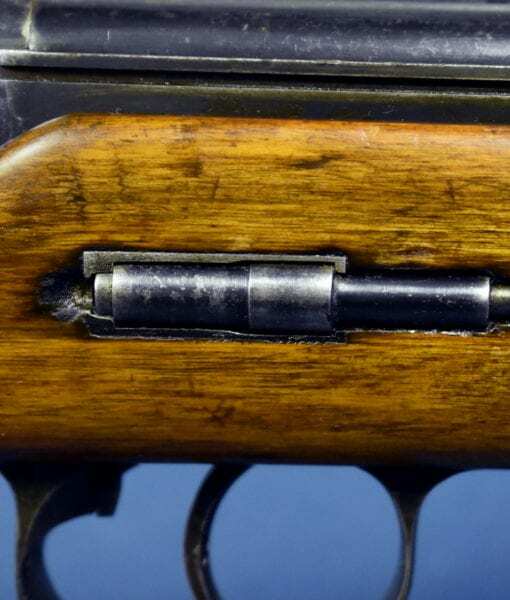 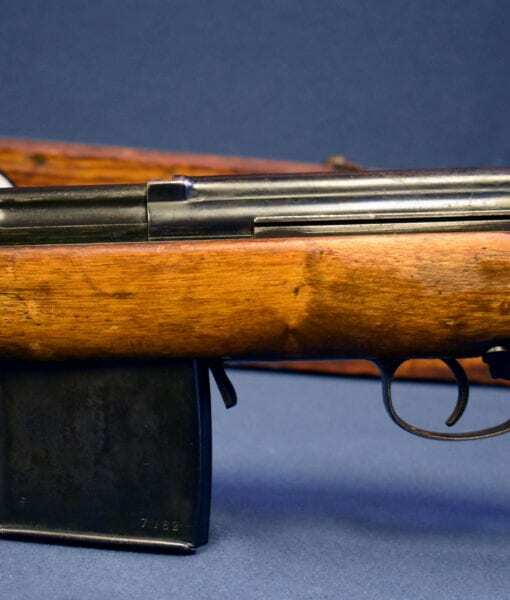 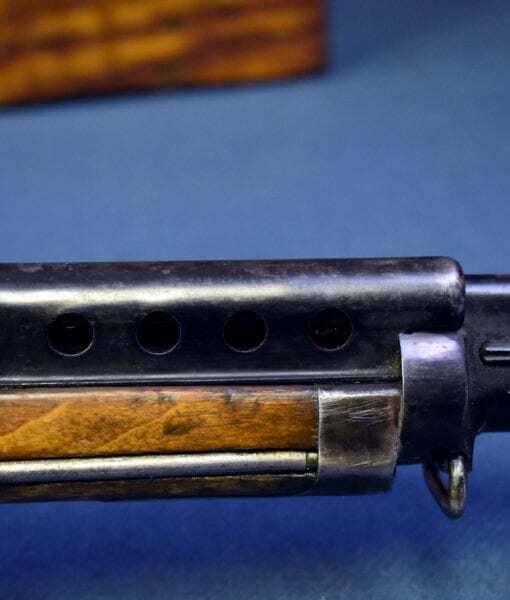 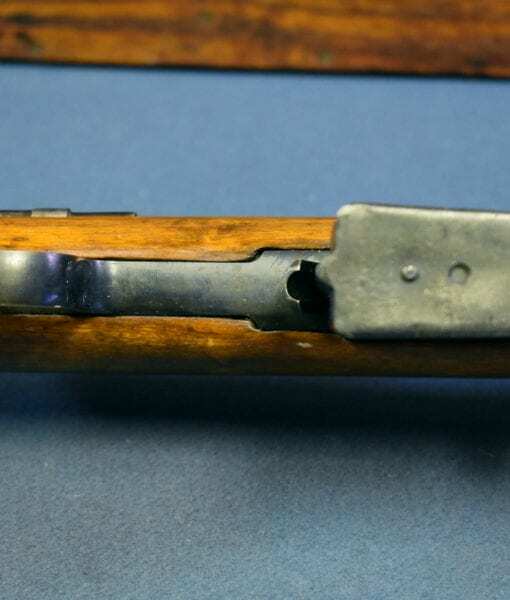 There are very few examples of this rifle in the US and most of them were captured by the Finns in the various Russo-Finnish wars and are clearly SA marked denoting Finnish re-issue. 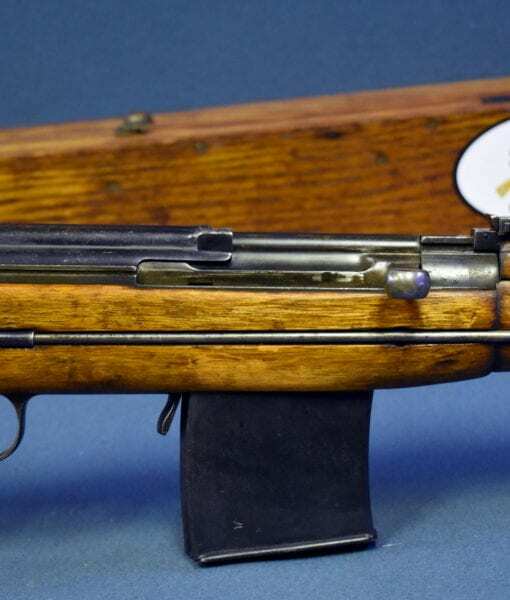 This rifle is not Finnish marked and was certainly a German capture and re-issue. 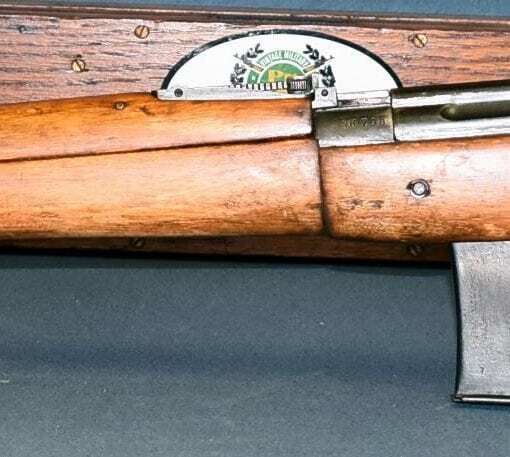 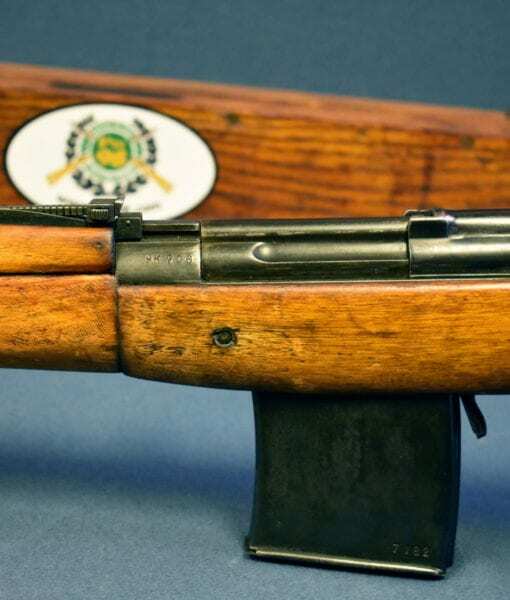 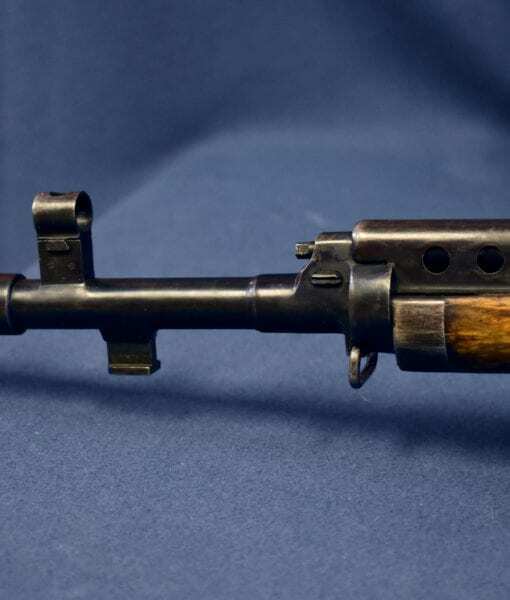 These rifles were highly prized by the Germans and were widely used by them on all fronts; they were even commonly used by the Afrika Corps in the Mediterranean Theater. 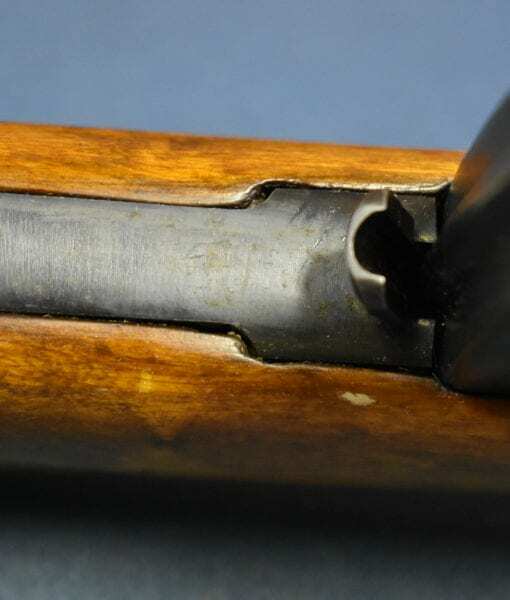 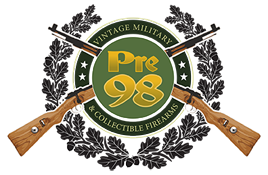 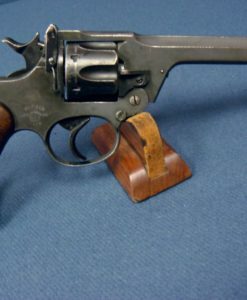 This is a very significant rifle for collectors and they are highly sought after and prized. 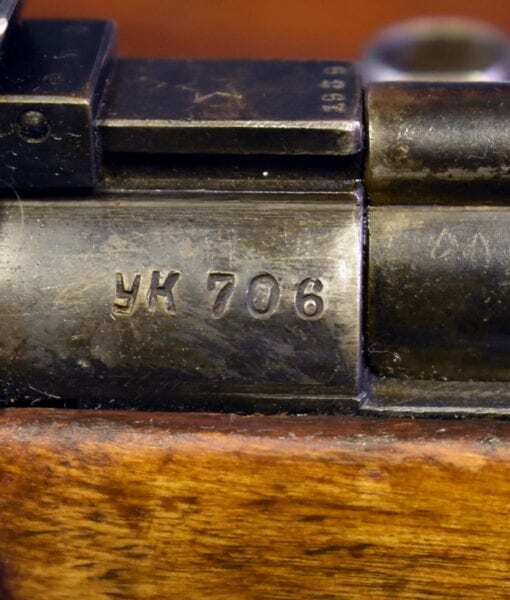 They first saw combat against Finland and were in front line use from that time on till the end of the war. 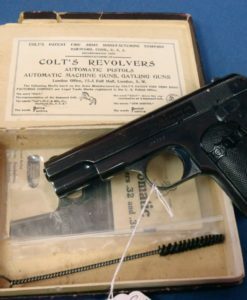 They were in front line when the Germans invaded and they were captured and turned on their former owners. 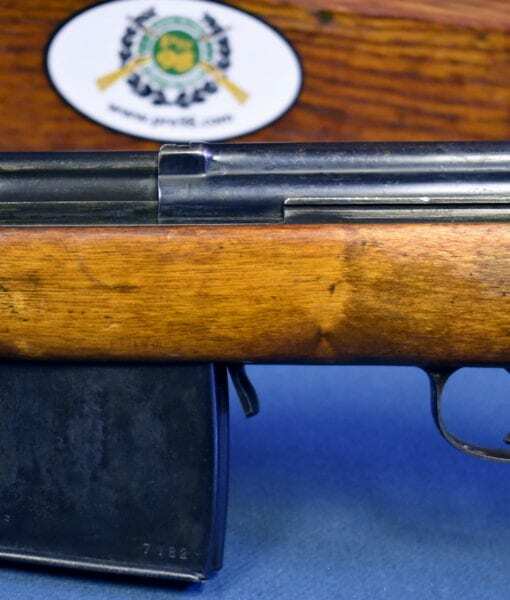 These rifles are legendary and highly sought after and we are glad to have obtained this top example.